English Fluency Level: How is it divided? Find out in what stage of English Fluency you are. “I’m not fluent, but I speak in an advanced level”. You probably have already heard somebody saying that, haven’t you? In this post, we will talk about the polemic issue of English fluency level and how it’s ranked. We believe that there are two types of people: the ones who are and the ones who are not fluent in English. It’s as simple as that! So, forget about this idea of beginning, basic, intermediate or advanced level. You either master the English language or you don’t. But don’t mistake fluency for a wide vocabulary. They are completely different things. Someone who just knows a lot of words in English probably won’t be able to maintain a conversation with a native English speaker, because this person isn’t fluent. How is the fluency acquisition process evaluated? For those who are, in fact, in the process of acquiring fluency in English, there is a pattern to classify in what learning stage they are. It’s the Common European Framework of Reference for Languages (CEFR). It’s used all around the world to describe linguistic skills, including in the English language. How does the Common European Framework of Reference for Languages work? Ask and answer questions about personal aspects such as: where they live, people they know, things they have, etc. Describe, in a simple way, their educational background, where they live and other subjects related to immediate needs. Defend their points-of-view about general topics. Have fluent and spontaneous conversations. Express themselves spontaneously with great fluency, even in complex situations. How can a person reach each one of these stages? 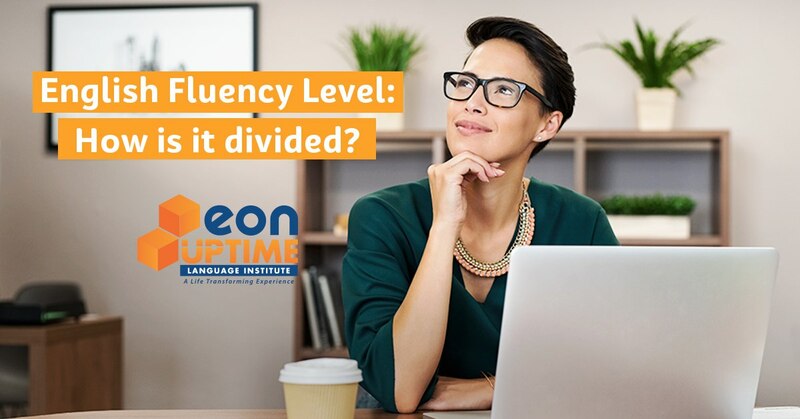 In order to advance in the fluency acquisition stages defined by the CEFR, it’s important to find a course that provides the proficiency level you desire. The Connected course covers the stages A1, A2, B1 and B2 in 12 months. To reach the C1 stage, we offer the Conversation Club and Master’s Program courses. To completely master the English language at the C2 level, we offer the Ph.D. Program. Are we going to sell these courses outside of Brazil? Now that you know how the fluency acquisition stages are defined and how to reach them, how about testing your English level? Click here and do the test!